Banks provide Cash Credit (CC) facility to the industrial/trading units to finance their daily working capital requirements. The working capital funds are generally required for the purchase of raw materials, for payment of labour, power charges, for storing semi-finished and finished goods till they are actually sold out and for financing the sales by way of sundry debtors/receivables. Cash Credit is a proper limit sanctioned by the bank to the borrowing manufacturing/trading unit against the value of the raw materials, semi-finished goods and finished goods including stores and spares; and also receivables hypothecated by the account holder with the Bank. CC is sanctioned by way of running account. Credits within the CC limit are payable on demand. CC A/c functions like a Current A/c with cheque book facility. The securities hypothecated may vary from time to time from one set of securities to another. In ‘Hypothecation’, goods remain in the possession of the borrower, who is bound under the hypothecation agreement to show the goods and the proper accounting thereof to the banker whenever the banker requires the borrower to do so. Generally, this is done in a surprise inspection of the borrower’s unit by the bank officer authorised once in a month. Thus, hypothecation is a device to create a charge over the assets under circumstances in which transfer of possession is either inconvenient or impracticable. CC Limit is fixed based on the requirements of the borrower for its working capital as agreed with the bank. Within the agreed limit and subject to the ‘withdrawing power’ the borrower is free to draw upon his credit account any number of times according to his needs and convenience. He is also free to repay into the account as frequently as he likes. All this makes CC limit highly flexible. CC Limit is normally sanctioned for a period of one year and secured by the security of tangible assets and personal guarantee. This guarantee is on the basis of a letter of Continued Guarantee signed by the guarantor. If the account is running satisfactorily, the limit of cash credit may be renewed by the bank at the end of a year. 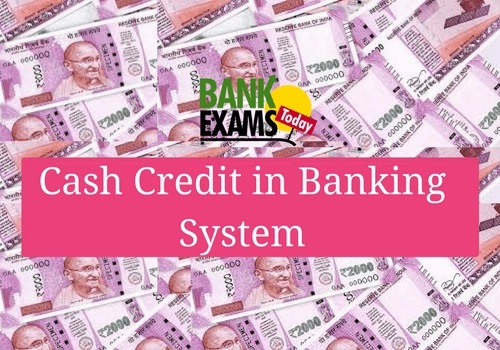 The interest is calculated and charged to the customer’s account on the basis of the net amount of credit actually utilised, or in other words, bank charges interest on the amount utilised not on the limit sanctioned. A. By way of hypothecation of goods – named simply as C.C. Limit or Open Cash Credit Limit (OCC). B. By way of pledge of goods – the goods remain in the godown of the borrower but the lock on the gate of the godown is the bank and the key also remains with the bank. ‘Pledge’ literally means transferring the possession of goods as security for the loan. Its primary purpose is to put the goods pledged in the possession of the lender. As and when a portion or the entire goods are required by the borrower, the firm has to make a written request to the banker and the pro-rata value of the goods is to be deposited as per the agreement. It is known as Key Cash Credit (KCC). Some people misconceive CC with the overdraft. CC is totally different concept than the overdraft. Overdraft is allowed to a current a/c holder against a host of securities including financial instruments like shares, units of mutual funds, surrender value of LIC policy and debentures etc for a very short duration (usually up to one week). Some overdrafts are even granted against the perceived "worth" of a current a/c holder. Such overdrafts are called clean overdrafts. The word “Overdraft” means the act of overdrawing from a Bank account. In other words, the account holder withdraws more money from a Bank Account than that what has been deposited in it.